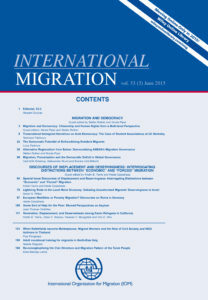 Special Issue of International Migration, 55(4) 2017. (2016). 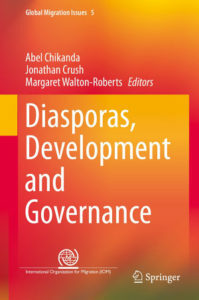 Diasporas, Development and Governance (2016). Zimbabwe’s Exodus: Crisis, Migration and Survival (2010). Surviving on the Move: Migration, Poverty and Development in Southern Africa (2010). Perspectives on the Migration-Development Nexus in Southern Africa Special Issue of Development Southern Africa, 27(1) 2007. Evaluating South African Immigration Policy After Apartheid. Special issue of Africa Today, 48(3) 2001. Migration and Health in Southern Africa (2003). 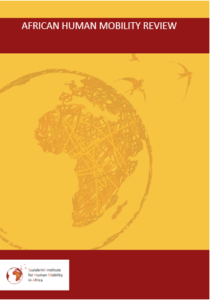 On Borders: Perspectives on International Migration in Southern Africa (2000). Destinations Unknown: Perspectives on the Brain Drain (2002). The New South Africans? The Immigration Amnesties and Their Aftermath (1999). 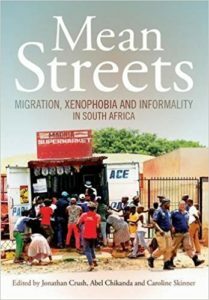 Transnationalism, and New African Immigration to South Africa (2002). Beyond Control: Immigration and Human Rights in a Democratic South Africa (1998). Transforming South African Migration and Immigration Policy (1998).